Being a seasoned Ironman competitor, and having completed many ultra-distance races since 2009, I had reached a bit of a plateau with my performances. So Iast winter I decided I wanted to push myself harder and go faster for the 2016 season. 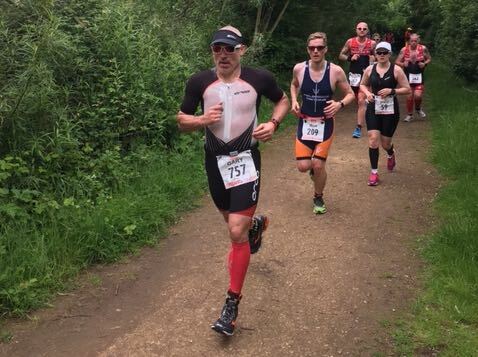 Having worked with the trainers at Vibe Fitness/Urban Endurance for a number of years I had no hesitation in signing up with Paul at Urban Endurance who has specific triathlon experience. Before I actually got in to the training we looked at all aspects of my current strengths and weaknesses and what I wanted to achieve in 2016. Paul then formulated a very detailed online training plan which focused me on delivering specific goals, in particular working to set heart rate and power zones. Over the Winter and Spring I could feel this working and I was able to deliver much more in training than I had before. We looked at my race schedule and Paul tailored my plan so that I was able to deliver peak performance at the right time. The upshot of 6 months focused training was that I was able to deliver my two quickest single Ironman race times within 4 weeks of each other and take 40 minutes off my old PB. I was delighted with the results and I will be working with Paul again for the 2017 season where I’m hoping to go quicker again.